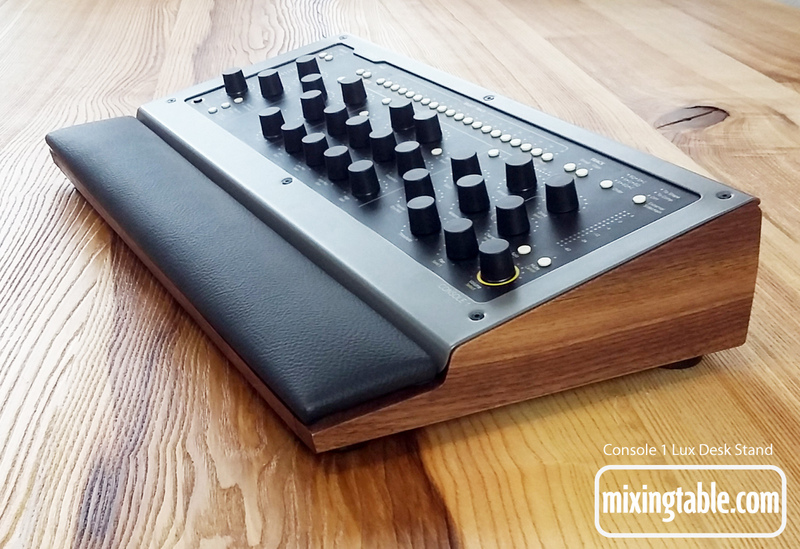 A luxurious walnut desk stand for the Softube Console1 by mixingtable. Increases the rake angle of Console1 to 15 degrees and adds a black vinyl padded strip for tweaking comfort. 169 Euros + 29 Euros shipping to any destination.